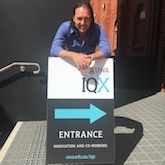 "The opportunity to join WA’s most exciting innovation and coworking space will offer an invaluable opportunity to develop high-end geoscience and engineering solutions to the industry," Rafael said. A graduate of 2014, Fiona is passionate about building the bilateral relationship between Australia and Indonesia through tourism. She is establishing a social-entrepreneurial tourism venture, 'Real Indonesia', that connects curious, conscious travellers to authentic travel experiences beyond the tourist strips of Bali. "I am thrilled to have the opportunity to connect with the IQX community, to seek advice on 'Real Indonesia', and also to pay it forward and give back to the community". "Working on your own business can be lonely and a struggle at times, so working in a space with like-minded people will be fantastic," Fiona said. 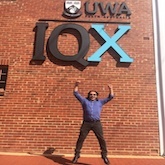 UWA IQX is powered by the UWA Innovation Quarter and Business Foundations and if you are looking for an event space then you can book a tour here.